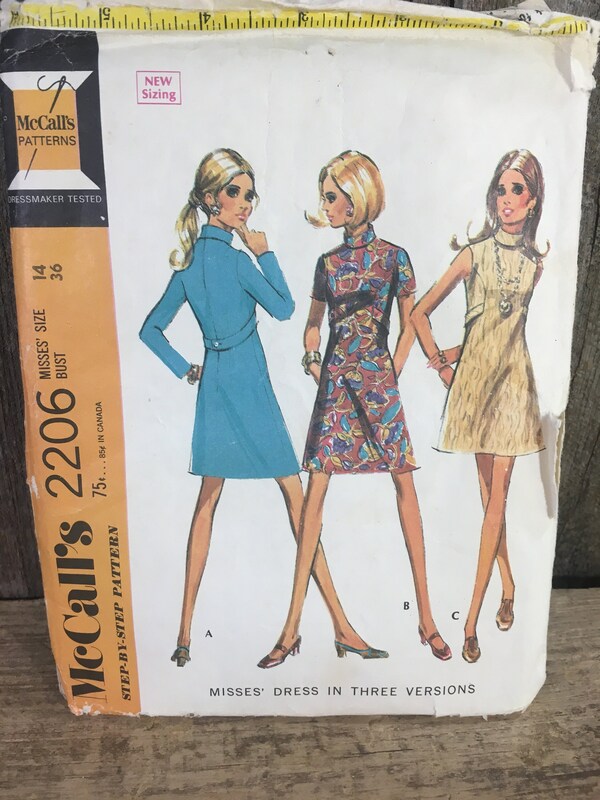 Vintage McCalls sewing pattern, McCalls 2206 from 1969. 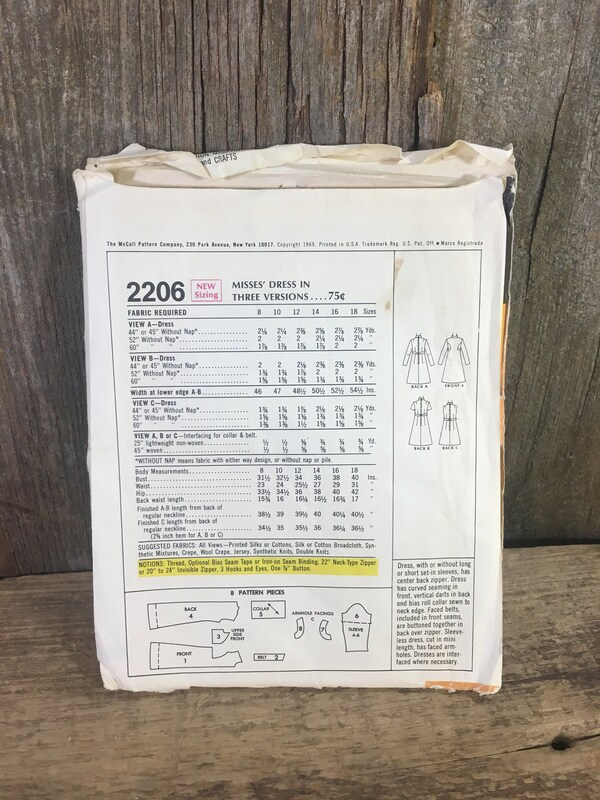 Vintage partially cut pattern for misses size 14, bust 36. Misses dress in three versions. Dress, with or without Lon or short set in sleeves, has center back zipper. 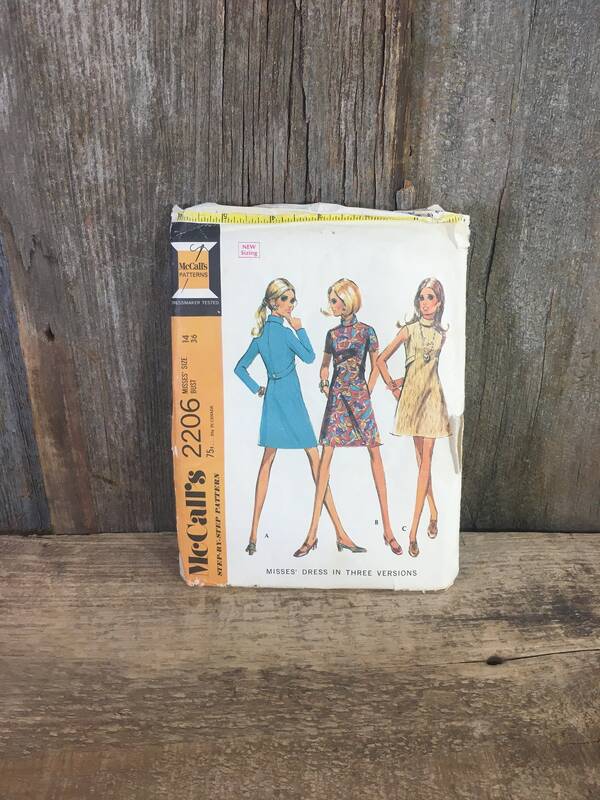 Dress has curved seaming in front, vertical darts in back and bias roll collar sewn to neck edge. Also sleeveless dress. 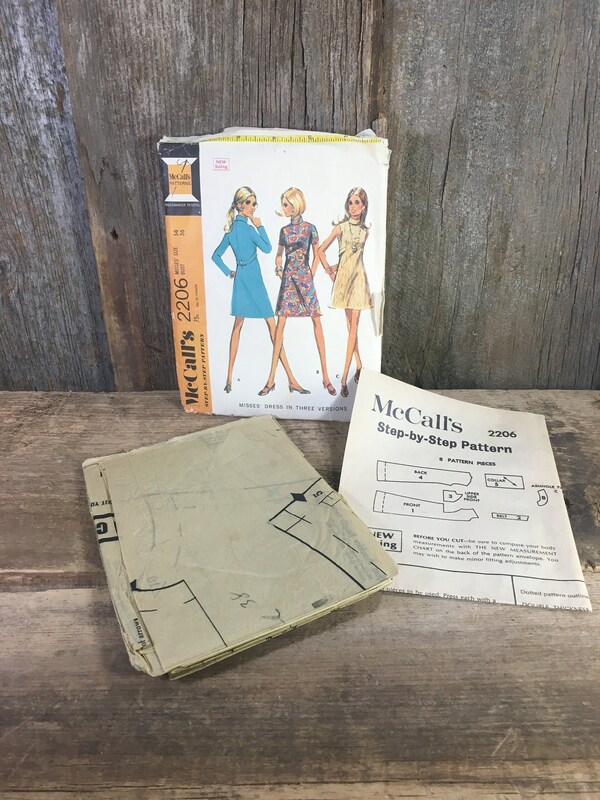 Pieces and instructions in worn and torn but intact envelope.